22:03 – Reason kaidus: hi! 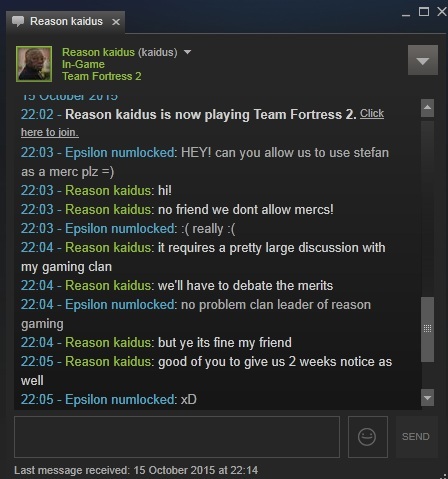 22:03 – Reason kaidus: no friend we dont allow mercs! please upload the STV demos for both maps or face punishment in accordance with our rules.